MEMPHIS – Agents with the Tennessee Bureau of Investigation served an arrest warrant on a Tipton County man from Drummonds, TN today, charging him with the homicide of his wife. The victim, Johnnie Patricia Alston, age 51, was found dead in her home on Andy Drive. At the request of 25th District Attorney General Mike Dunavant, on September 20th, TBI Special Agents and deputies with the Tipton County Sheriff’s Office began investigating the shooting death of the victim. In the early morning hours of September 20th, the victim’s son called 911 to report that his parents were arguing and he heard a gunshot. Later that day, Dwight M. Alston, the victim’s husband, ultimately turned himself in at the Tipton County Sheriff’s Office. 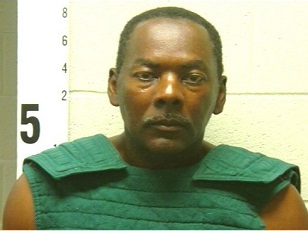 Today, Alston, 53, was charged with homicide and booked into the Tipton County jail. He is being held without bond. Alston is scheduled to be arraigned at 1:00 p.m. on Tuesday, September 23rd.